I’m a business owner and when I hear words like payables and receivables I instantly think of money. Using money we exchange goods and services. However, that’s not always the case. What about when payables are your time, missing an event with your family, or simply volunteering. What about when receivables are the reminder of a bad choice, a smile from a stranger, or the feeling of being a part of something much bigger. These are times when invoices don’t have meaning. 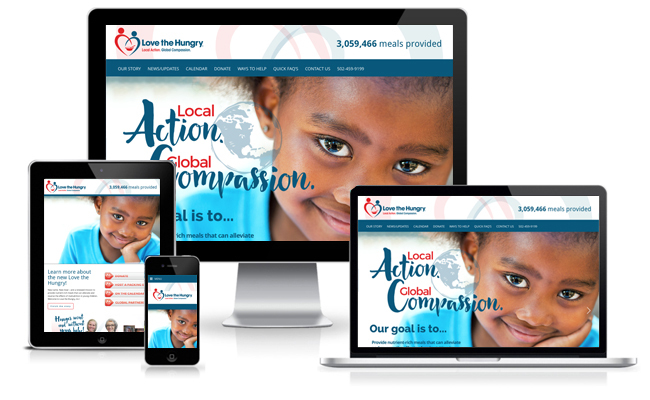 Recently, SA Interactive had an opportunity to partner with a ministry here in Louisville called Love the Hungry. The focus of the ministry is to provide meals to those who do not have one. This initiative is both domestic and international and focuses on children in particular. One moving story that the executive director, Dale Oelker, shared was of a pediatrician in Haiti. In the office they had a red line painted on the wall. This line represented the average height of a 9 year old child. The children standing against that wall were 9, but they were significantly shorter than the average. This was the result of poor nutrition, not genetics. Love the Hungry seeks to change that problem by providing nutritious, nutrient packed meals. On a bigger scale, they seek to educate the community around them on the issue of malnutrition, and to ask for help. They are sending an invoice offering an impact of the heart. In return, they ask for payment in time. 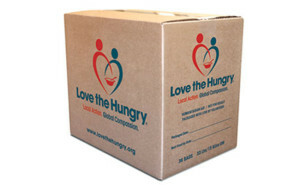 At Love the Hungry groups can come together to pack these meals that truly change lives. A table is setup in an assembly line fashion with each person adding ingredients, checking for accuracy, sealing the meals and then packing in a box. You can give a few hours or whole days, whatever works. At the end, you see cartons of food on pallets and know you have participated in impacting the life of someone you may never meet. Something bigger than you has happened. Now the question comes back to the payables and receivables. Our company is going during the work day to participate. There is no billable time, no charges, just serving. My hope is that we each have the opportunity to see that the creative work, branding, website and other services we provided (yes we did charge, but that’s another post) work together to create something impactful. The work of our hands coming together into a bigger picture. What about you? Your company? Have you budgeted for the non-monetary payables and receivables?